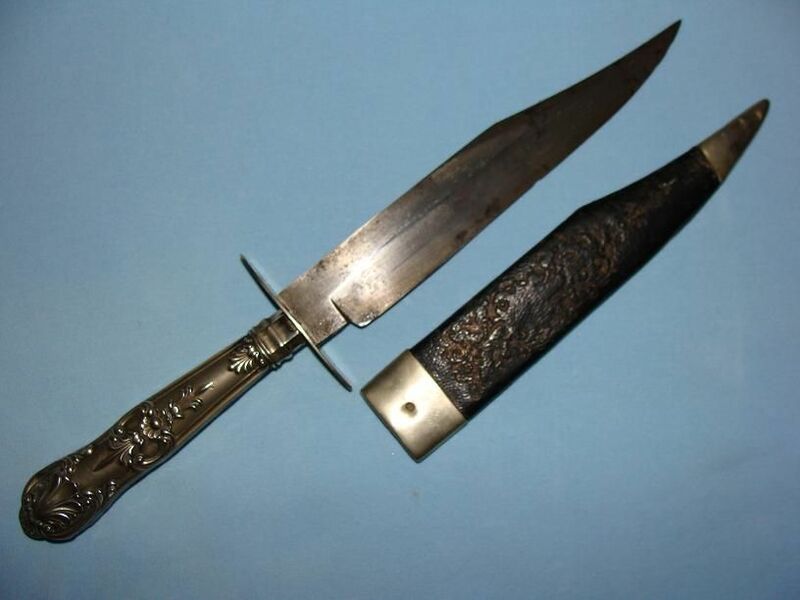 A very nice Cutlery hilted Bowie knife with original tooled leather sheath. 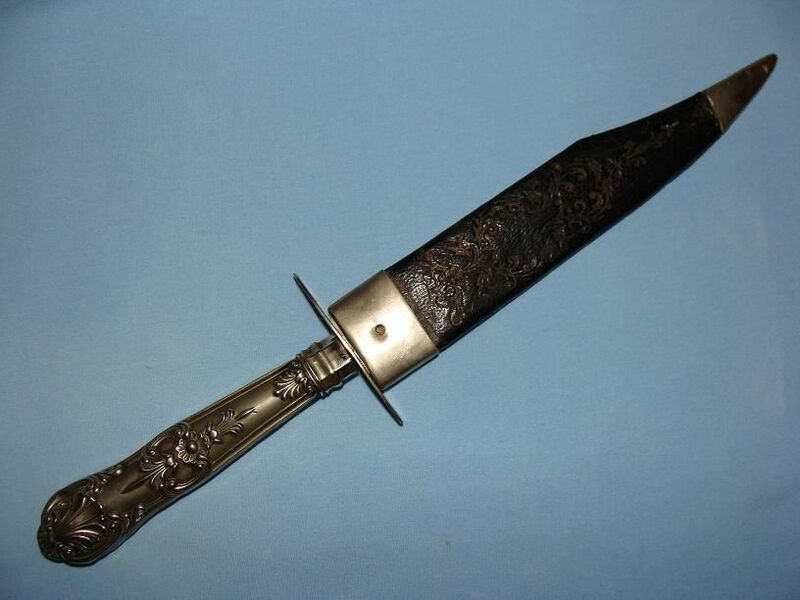 Overall this fine example measures just over 29cms in the sheath, 29cms out with a 17cm blade. The blade shows one slight edge nick and small areas of dark staining and a fine distinct clip point. 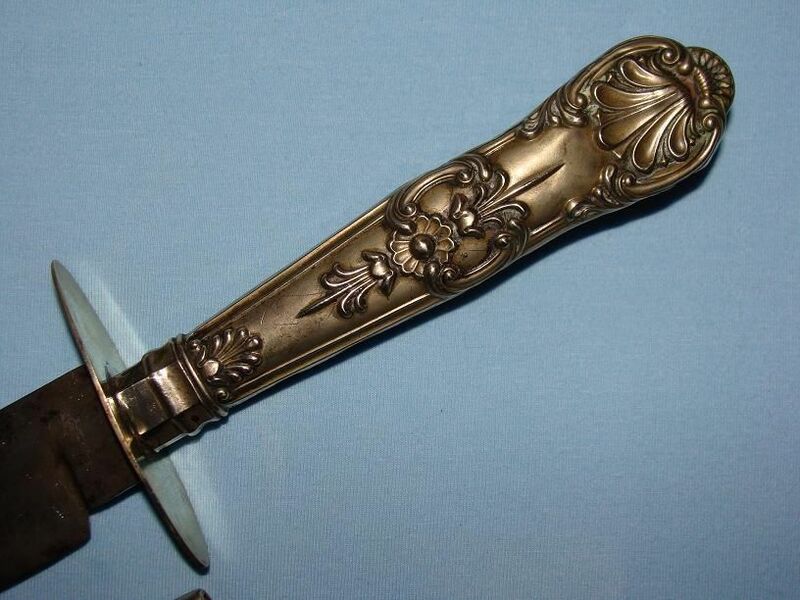 The fine nickel silver cutlery hilt remains in very good condition for its age with a few minor bumps to the edges, a depression to one side of the pommel and a part depression to the other. The oval cross guard is also of nickel silver. 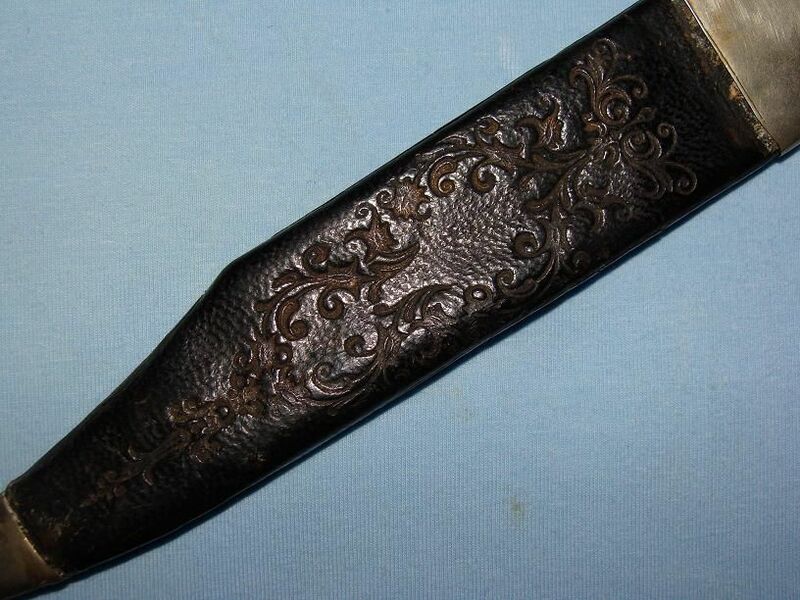 The sheath is very finely tooled with nickel silver fittings to the ends. 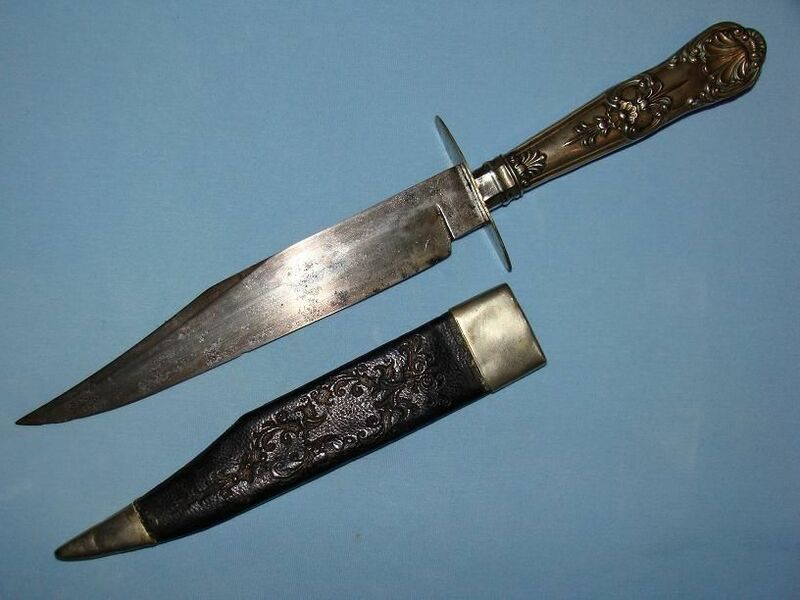 Overall a very attractive cutlery hilted bowie knife, complete with original sheath and in good condition.